Winters are completely gone. My skincare routine has changed completely. Last year in the month of Feb I got some pimples and similar thing happened this year also. I have oily skin so I have stopped applying cream on my face these days. I just use a decent sunscreen and step out. For rest of the body I am using a body butter (will tell about it in my next post). But even an oily skin needs to be moisturized properly. My new investment has to be in a face wash that will keep my skin nourished and clear. 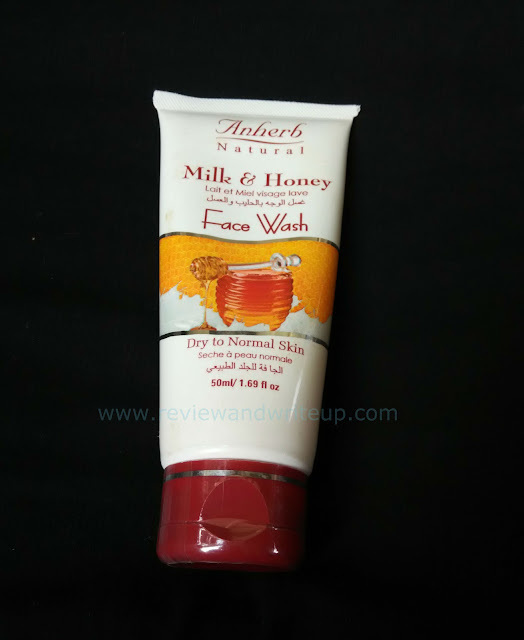 I got Anherb Milk & Honey Face Wash. Click here to buy online. It’s priced at Rs. 79 for 50 ml. 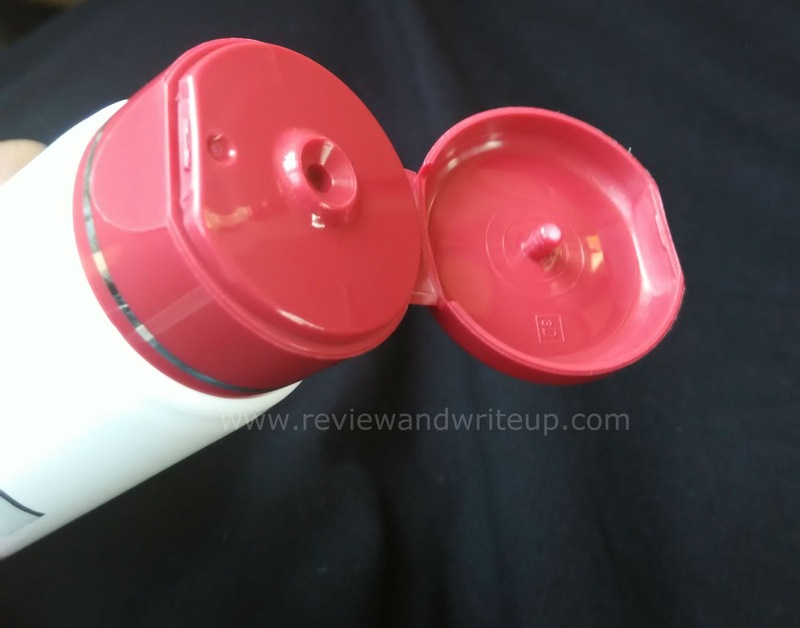 Packaging – Facewash is housed is a sturdy, squeezable plastic white color tube with burgundy shade flip open cap. After using so many Anherb products it has become really easy for me to recognize any Anherb product from a distance. My Experience with the product – What I was looking for in a facewash I found that aka “Jo chaha wohh paya” I chose this facewash because of its ingredients Milk and honey that are known as some of the best skin nourishing ingredients. Facewash is of milky-white color with regular consistency. It feels slippery like shampoo at times but was tender on skin. I used the facewash for whole Feb (thrice a day) and got another tube for March as well. Facewash formed sufficient lather to clear dirt from skin. I personally like face wash that forms lather as they cleanse my skin well. Little quantity was sufficient for face and neck. Three splash of water was sufficient to wash away lather. My skin appeared clear, fresh, bright and nourished after its regular usage. I didn’t felt need to apply any cream or moisturizer on my skin after wash. Infact I didn’t applied any until next wash. I only had light sunscreen on my face if I stepped outside. If I was staying inside house, then no cream or moisturizer on skin at all. Thanks to god I didn’t have another pimple (I hope I never get any) after that. 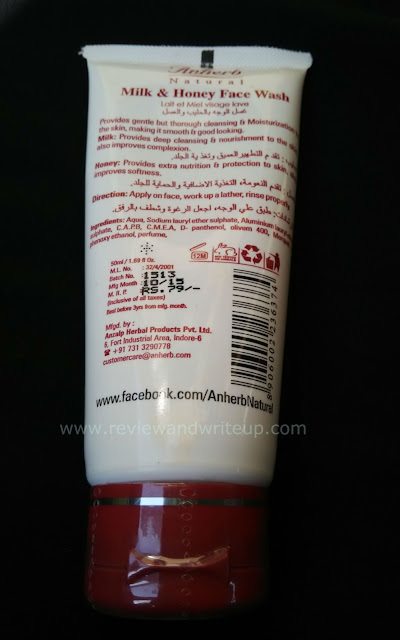 Which facewash you are using these days? Please tell me about it I would love to try out new face wash in market. 4.8 rating. Sounds very impressive for a face wash.